Peer-to-peer lending platform Linked Finance has facilitated loans of over €28m in the first nine months of this year, an increase of 63% on the same time last year. The lender said it was on track for record growth this year. It also noted that loans in the quieter third quarter covering the summer holiday months were up more than 62% to €9.3m, while average loan size also rose significantly - up 33% to €62,000. 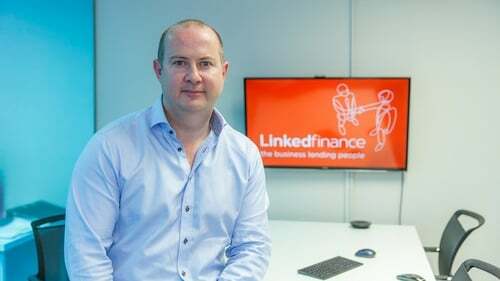 Linked Finance said it has now helped provide over 1,700 loans and €70m in funding to businesses across Ireland, and the platform now has almost 20,000 registered users. Its lenders have already earned more than €5.4m in interest and received more than €36.6m in repaid principle since the business launched in 2013. Niall Dorrian, CEO of Linked Finance, said that total lending this year is set to exceed €40m. "We are able to offer Irish SMEs fast and affordable lending solutions, matching their needs with thousands of lenders with capital to deploy. "Lending growth of 63% so far this year shows we are making rapid progress towards our goal of establishing Linked Finance the biggest source of non-bank funding to SMEs in Ireland," he added.